Home “WOMEN OF INDIA IS IN DANGER ZONE” DANGER ZONE DO YOU KNOW OR NOT ??? INDIA IS IN DANGER paras bhanot “WOMEN OF INDIA IS IN DANGER ZONE”, DO YOU KNOW OR NOT ??? “WOMEN OF INDIA IS IN DANGER ZONE”, DO YOU KNOW OR NOT ??? 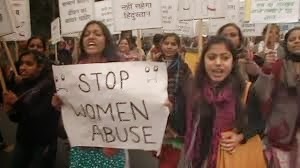 Is India really unsafe for women? The answer to this question is yes. Women are definitely unsafe in India. Being a girl, I too feel that it is not safe for me to go out alone. If you really think that India is safe then why don’t parents let their daughters go out alone? Why don’t they like their daughters to study in a co-educational college? The answer to these questions might not be there in your mind. The biggest problem that a girl faces in our country is eve-teasing. Eve-teasers harass the girls a lot. They sometimes even follow them while they are going for tuitions, schools, colleges etc. Eve-teasers first follow them and then try to come close to them. Some girls get so much disturbed, that they are not able to give their full attention to the work they are doing. Another problem that women face in our society is of our dowry. People demand dowry from their families. Women are tortured, bashed and sometimes even burnt alive if she is unable to bring dowry. Due to this parents find daughters a burden on them. They want to get their daughters married at a young age and don’t even care about the girls education. Whenever you open a newspaper or switch on the news channel, they are lots of reports about women being tortured, ill-treated and sometimes even killed by members of their own family. I strongly feel that somewhat government is responsible for all this as it is not making proper laws for the protection of women. Some TV shows have been started for the women to make them realize the danger they face like CID, Crime Patrol, Gumrah and many more. Best examples for this is GEETIKA SUICIDE CASE. But, I sometimes feel that a woman has to be her own protector. She has to be strong enough to fight for herself and for her respect in society. Only then can she make India a safe place to live. I think that men must respect women of their country. If they don’t do so there will be a time when tourists would think 1000 times before coming to India.